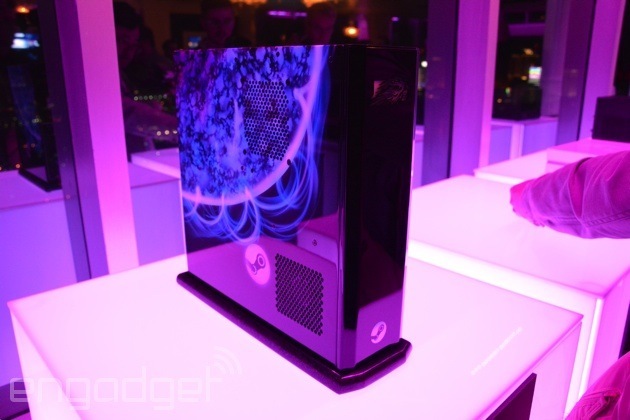 One of the most anticipated gaming products this year are Valve’s new Steam Machines. 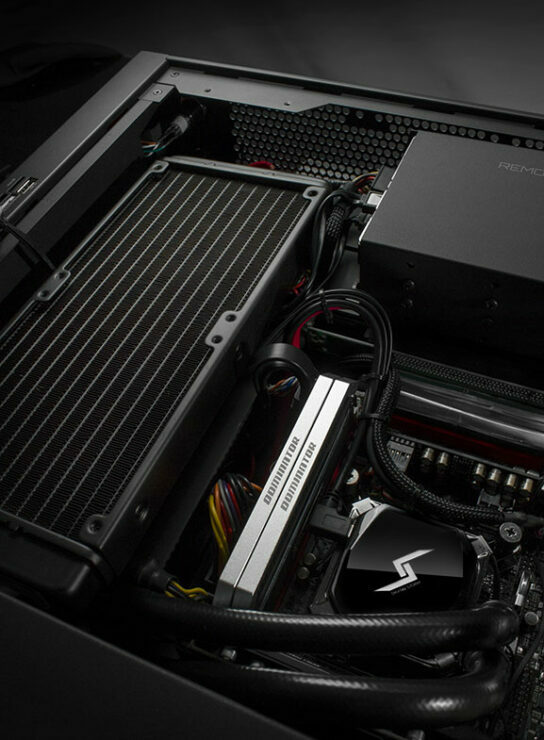 Steam Machines differ from consoles and traditional gaming PCs in both the way they are built and the OS they come with. 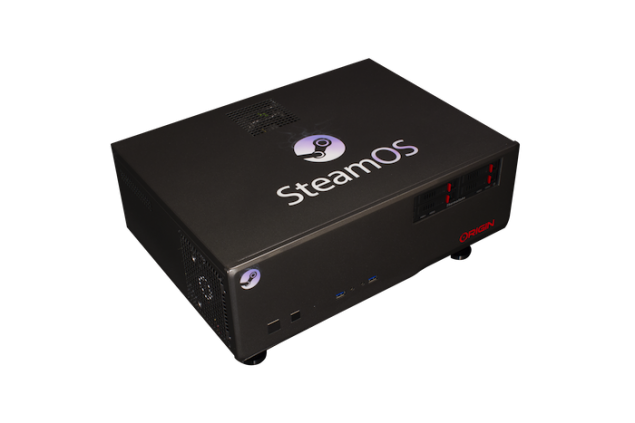 Valve Steam Machines are not tied to just Valve or a small group of contracted suppliers, anyone can build a Steam Machine. 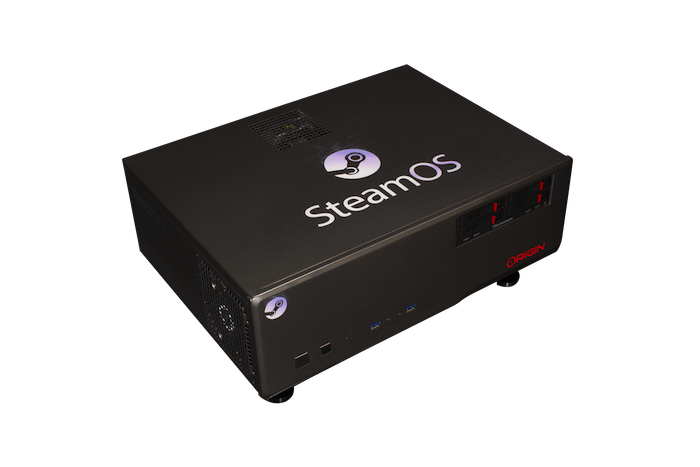 In fact, you can install SteamOS on your PC right now and (by definition) have a Steam Machine. 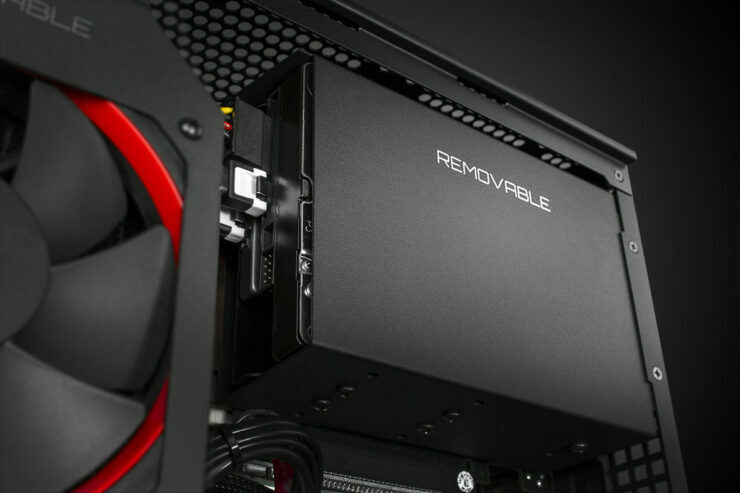 With the vast potential market share of Steam Machines, it makes sense to see so many PC vendors alongside Valve in their fight against today’s disappointing, watered down, and proprietary gaming consoles. 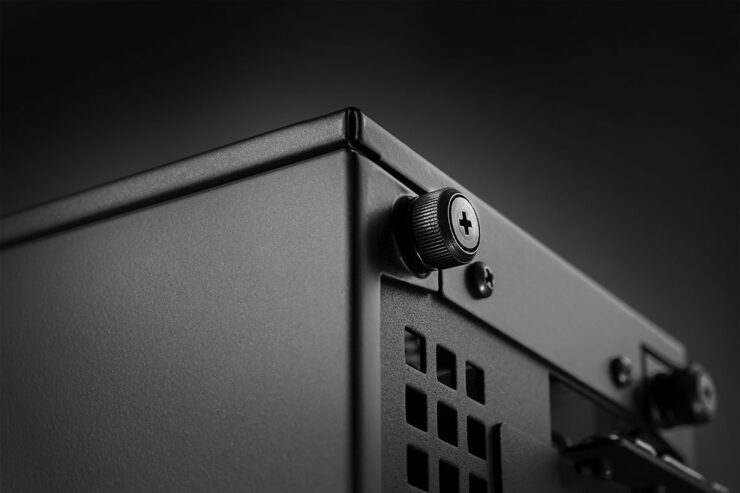 The Bolt II is aimed for high performance gamers who want the best setup possible in a small form factor chassis that looks great and offers easy accessibility. The Digital Storm Bolt II features components which not only deliver high performance but are also upgradable. 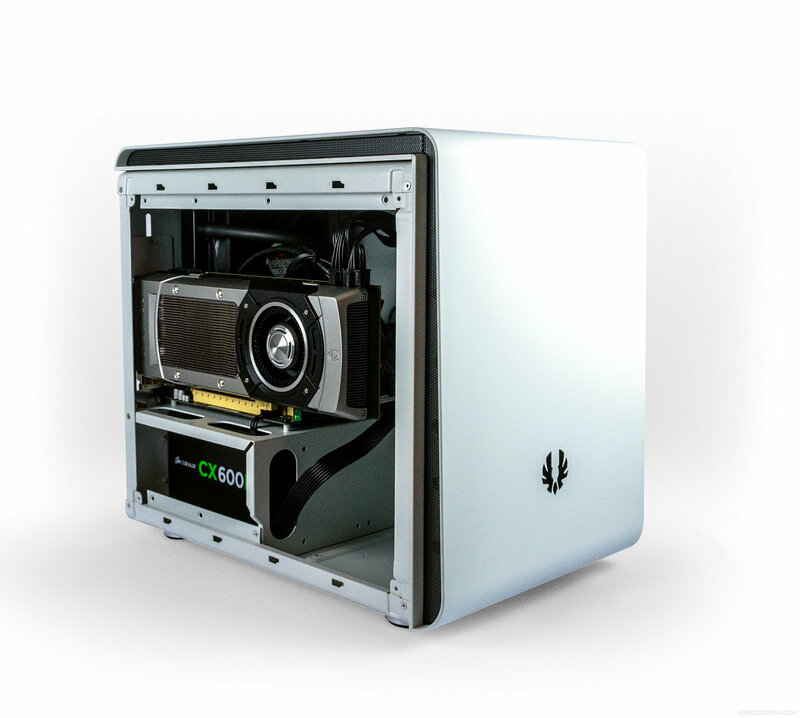 The Bolt II enclosure also comes with the HydroLux control which help to configure temperatures and fan speeds in real-time providing better thermal operation on the go. 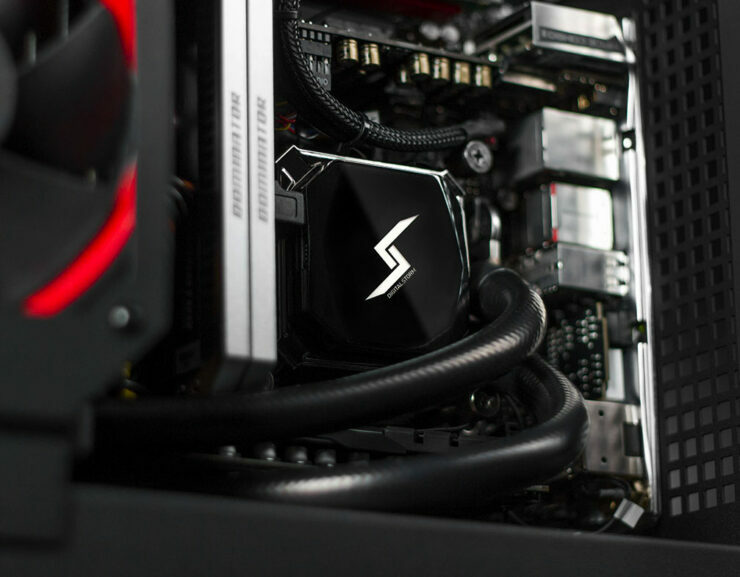 CyberPowerPC Steam Machines would include high-density mass storage, USB 3.0 ports and WiFi and Bluetooth for wireless connectivity. Both the systems would be further customizable. The main controller hardware to accompany CyberPowerPC Steam Machines would be Steam Controller, only one of its type controller which features two circular trackpads in place of the analog sticks. The trackpads are clickable and give more precision and accuracy than the traditional analog sticks, this makes the Steam Controller stand above the other normal controllers and close to keyboard and mouse. 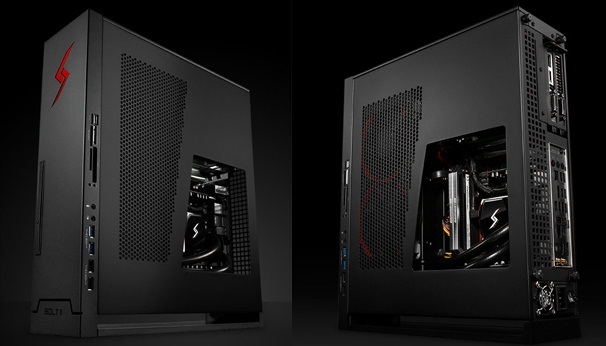 Both the machines would be available for retail in the second half of 2014. Below are the specifications for both Steam Machines. 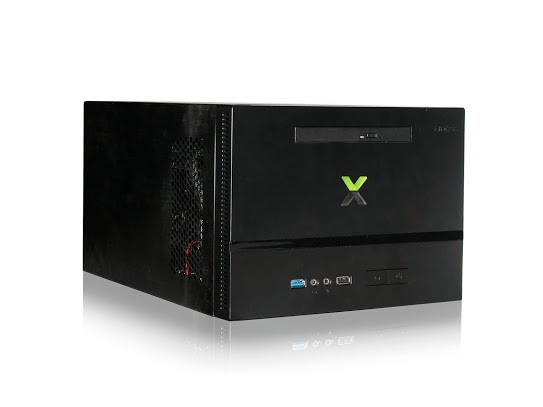 3- iBuyPower SBX Steam Machine For $499 That Is Not a PC? 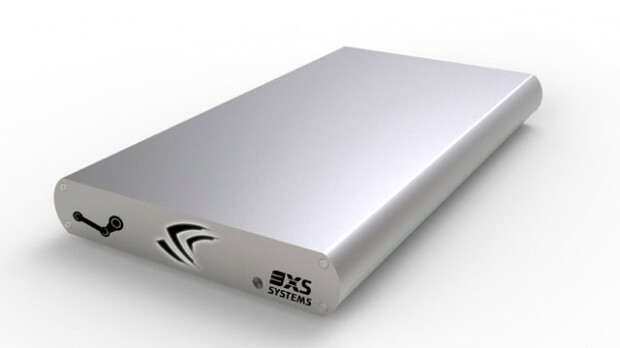 iBuyPower have also revealed their $499 SBX Steam Machine which they are defining as a console and not a PC. 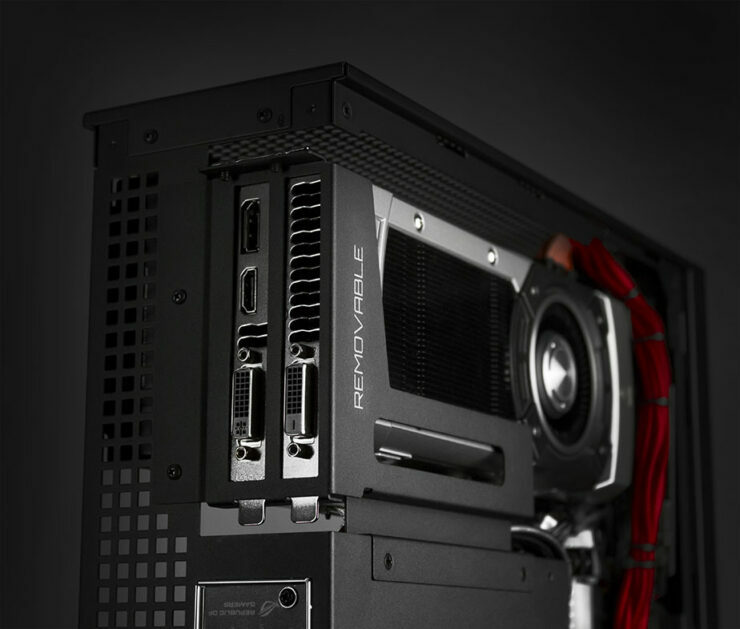 The iBuyPower Steam Machine features built-in wi-fi, Bluetooth, an internal power supply, a 500GB HDD, 4GB RAM, AMD’s quad-core Athlon X4 740 CPU, and a Radeon R7 260X graphics card with 1 GB GDDR5 RAM. 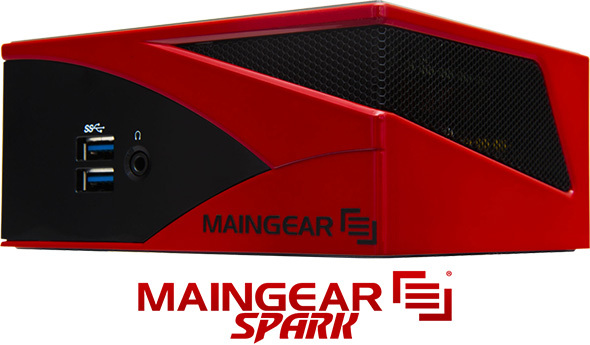 “With Mantle and everything, and the whole GCN up and running, you are very much on par at least with the current generation of consoles, if not even better,” Nguyen said. Alienware is a well known name in the PC industry bringing high-performance and amazing pre-built desktop computers to the market. Alienware has partnered up with Valve to deliver a new generation of Steam Machine that is both high-performance offering users the ability to game at 1080P while offering a compact enclosure that looks stunning. Alienware has not detailed the hardware except that the specifications will include Intel CPU and NVIDIA GPU but the pricing would be highly competitive against the next-gen consoles from Microsoft and Sony which retail for $499 (Xbox One) and $399 (PlayStation 4) so look something around this range. Falcon NW is updating its Tiki small form factor PCs to Steam Machines giving users various options to select from. These options however don’t come at a cheap price since the entry level model of the Tiki Steam Machine would set you for a cost of $1799 while the most expensive one would be available for $6000 US. The Falcon NW Tiki Steam Machines would come with NVIDIA’s GeForce GTX Titan graphics card along with an Intel Haswell 4th Generation Core processor (Core i7-4770K/ Core i5-4670K). In addition to that, the Tiki machine would be powered by 4 to 8 GB DDR3 memory along with 1 TB to 16 TB data storage while OS would be ran off an Solid state drive. The enclosure itself would be available in two variants with the heavy variant coming with a stone base to hold the setup intact. The new Tiki setup would be configured specifically for Valve’s SteamOS and will ship with Valve’s Steam Controller. 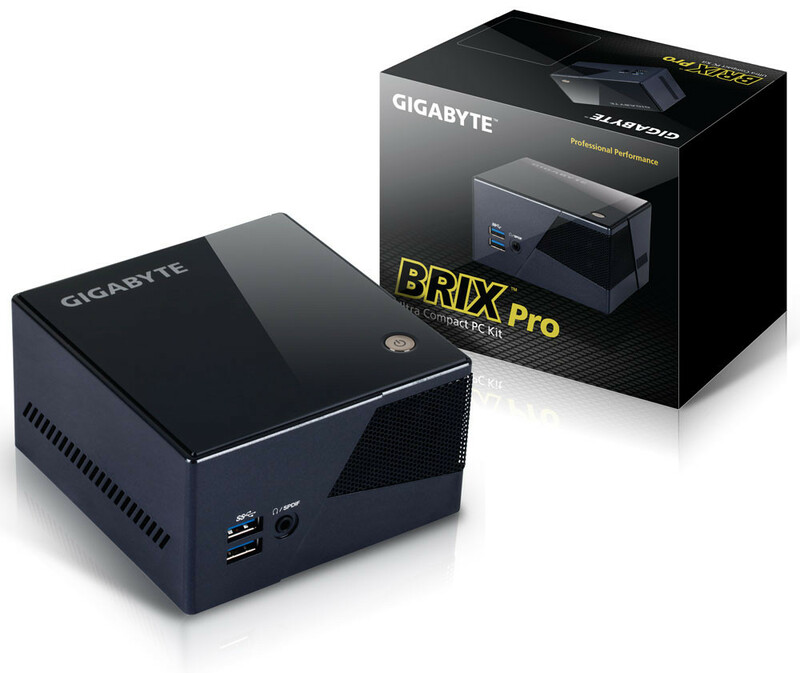 Gigabyte, the leading manufacturer of motherboards and graphics cards has announced their Brix Pro Steam Machine which is a fully integrated PC fitted with Intel hardware. 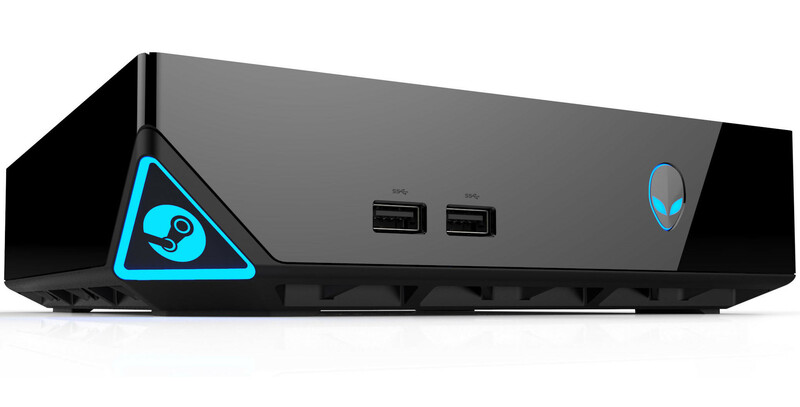 The Brix Pro is one of the smallest form factor Steam Machine and matches the size of an Intel NUC but a litter wider. The Gigabyte Brix Pro features the Intel Core i7-4770R processor which is a multi-threaded quad core with 6 MB L3 cache and a frequency of 3.90 GHz. 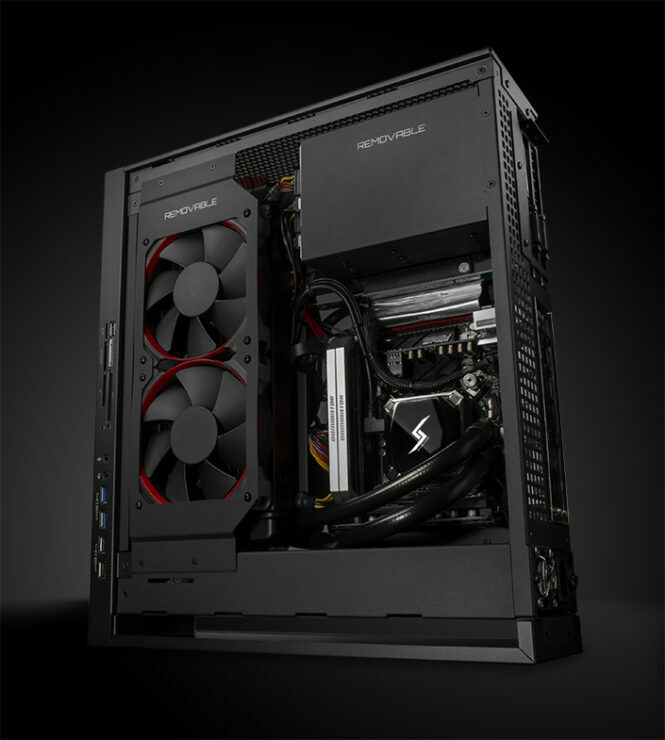 The CPU is built on the 22nm Haswell architecture hence a great choice in the Steam Machine. The graphics side on the Brix Pro is also powered by the Core i7-4770R’s on-chip GPU which is codenamed Intel Iris Pro 5200 featuring 40 Execution units that delivers twice the performance of the HD 4000 series iGPU. The GPU comes with an L4 cache integrated on the CPU die delivering higher bandwidth for graphics performance. In addition to these, the Gigabyte Brix Pro Steam machine features 16 GB of DDR3 memory clocked at 1600 MHz while storage is offered through an mSATA connector which can be fitted with a mSATA SSD of various form sizes. Connectivity includes Gigabit Ethernet, and Wi-Fi + Bluetooth while I/O includes four USB 3.0 ports, DisplayPort and HDMI port. 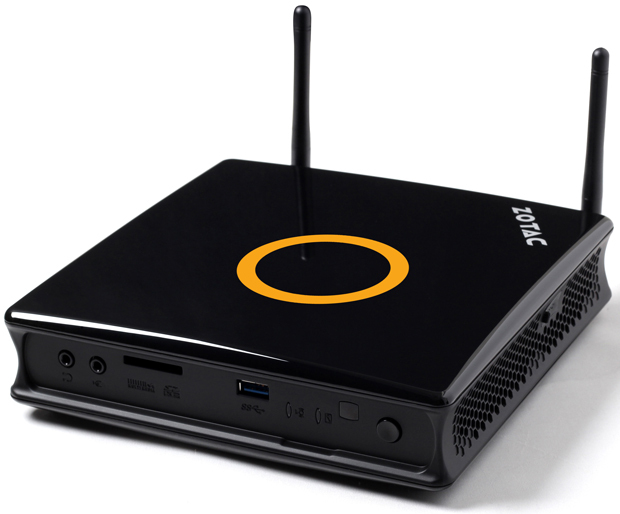 ZOTAC has also announced their Steam Machine which is a rebranded Zotac ZBox retailing for a price of $599 US. The ZOTAC ZBox Steam machine features an Intel CPU and NVIDIA GeForce GTX GPU along with an undefined amount of memory and storage. Since nothing is confirmed, i would move on to the next list of machines. The rest of the machines feature variable specifications hence for now we will just list off their prices along with product pictures. For more information, Stay tuned as we bring you more information regarding product releases and announcements during CES 2014.